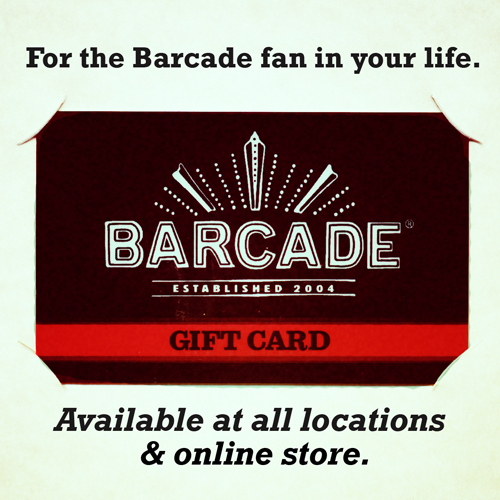 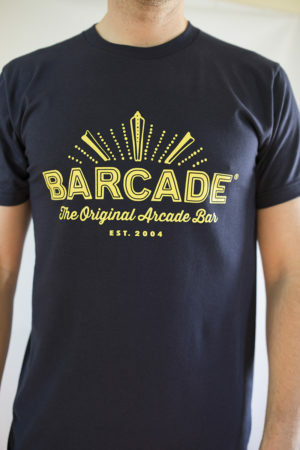 For the ultimate Barcade® fan! 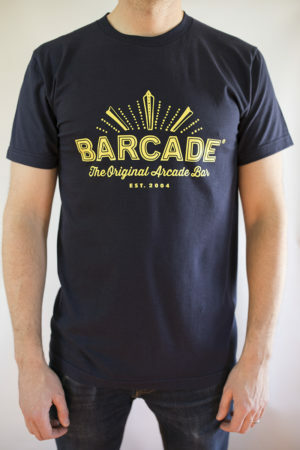 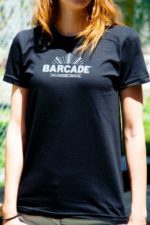 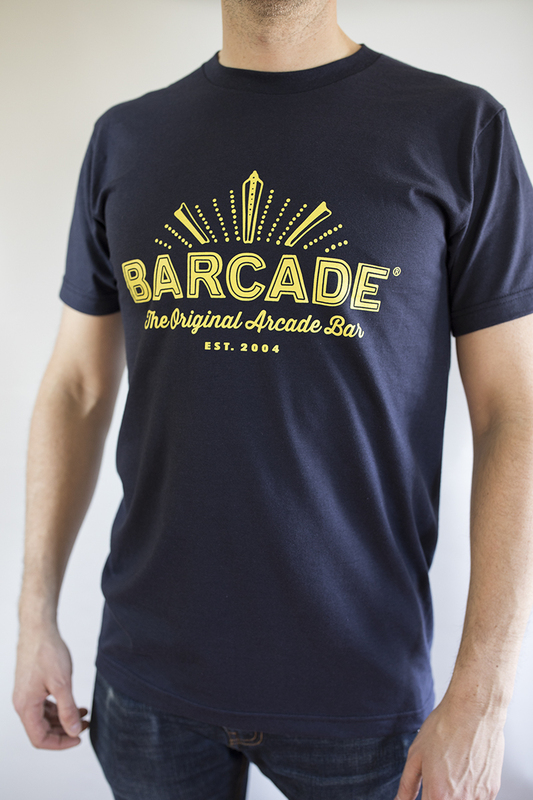 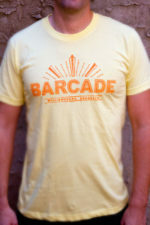 This is a limited edition navy blue American Apparel T-Shirt features a yellow Barcade® The Original Arcade Bar logo on the front. 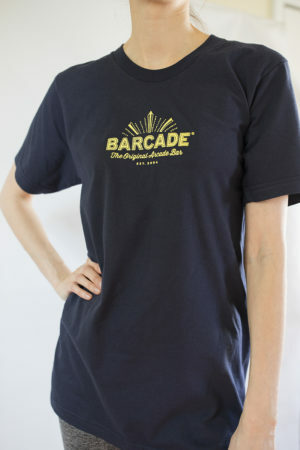 Nothing on the back. 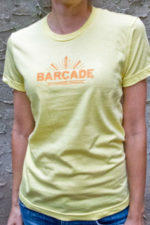 At this time we do not have women's sized T-shirts available. 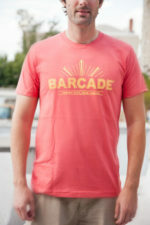 Size Small has a logo that is half the size of the larger sizes.